Prepare to peel back those layers, kids. Here comes the sun. 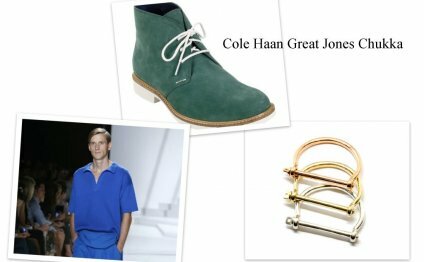 Spring 2013 is eventually upon us, with it comes down an onslaught of new trendy desires. To prep, we’ve distilled a month very long of fashion shows from New York, London, Milan and Paris and now have brought you the top 15 styles you’ll need bookmarked. Besides the numerous time stamps, designers discovered inspiration all over the world in 2010: Japan (Prada, Haider Ackermann and Etro were all Asian-inspired), Italy (Proenza Schouler and Altuzarra put heels on gladiator sandal), the US West Coast (coastline images reigned supreme at Victoria Beckham), the travelling music festival (Coachella 2013 presented by Tory Burch and Isabel Marant?) and also underwater (state hello to Seapunk, your new fascination). They travelled across the body also, exposing brand new erogenous zones for the fashion hungry to zoom in on: midriffs (crop tops at JW Anderson and Michael Kors! ), shoulders (strapless at Chanel and Gucci! ), feet (short shorts every where! )—they’re all hot in 2010. But just before become overrun by Spring 2013 fashion’s latest and best styles, take a little bit of advice from us for you: Choose what realy works for you and stick to it. Even though the ghost of Kurt Cobain’s undoubtedly a-callin’, you do not wish go head-to-toe plaid. Select girl, it is your season.